(P1) A German couple likes Christmas. They have Christmas decorations. They buy more and more decorations every year. Now they have many decorations. (P2) They start decorating in October. They take 8 weeks to set everything up. They put 100 Christmas trees into their small house! 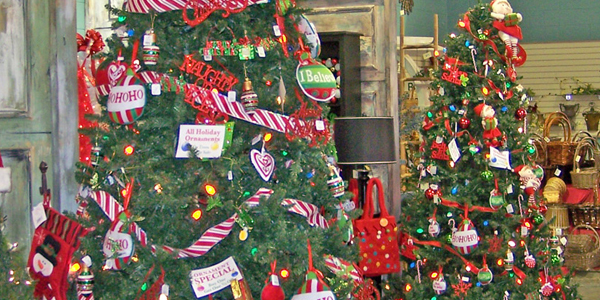 They decorate the trees with Christmas lights and 16,000 ornaments. (P3) They even have a Santa Claus in their bathroom! Do people decorate for Christmas in your country? If yes, how do they decorate? Do you like Christmas decorations? Why or why not? The couple starts to decorate in ____________. How long does it take them to decorate their house?